45 YEAR OLD IT CONSULTANT FROM THE NETHERLANDS. DURING HIS YOUNGER YEARS, HE WAS INTO PLAYING SQUASH REGULARLY AND WAS INTO VOLLEYBALL, FOOTBALL , SWIMMING AND FITNESS BUT IT CHANGED WHEN HE STARTED WORKING. PETER SAYS HE NEVER REALLY CARED ABOUT HIS WEIGHT BUT IT CHANGED A YEAR AGO. PETER THEN DECIDED TO GET A ROWING MACHINE AS A START OF HIS JOURNEY TO GETTING BACK INTO FITNESS. He grew quite frustrated with that and then he stumbled upon an online article about an English bloke who was refused to board a plane because he didn’t resemble his picture anymore. “ I read that he went Thailand for a year to lose weight and so I started looking at more information. I found out that he went to Muay Thai Camp but I felt that the place that he went to wasn’t for me so I searched for other options. 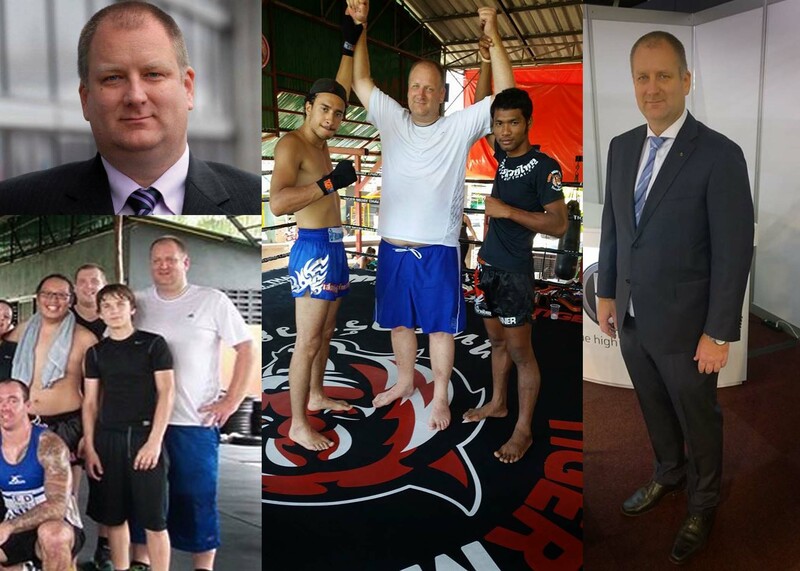 I then found Tiger Muay Thai and decided to go train for four months (which became three due to visa issues) I wanted a long stay to reduce the risk of falling back into the same bad habits after my return. PETER DID HAVE A FEW WORRIES BEFORE COMING TO TIGER. DURING HIS FIRST FEW DAYS HE AS ALREADY MET A LOT OF PEOPLE WITH THE SAME MIND SET AND GOALS AND SOME OF THEM ARE NOW CLOSE FRIENDS. “I started out doing only a single class per day. As I was going to be here for a long time, I didn’t feel the need to rush myself into injuries. “The first class I did was BodyFit, wth Ocean Bloom. Ocean is really great because she is very keen on having fun while making progress and she also encourages guests to learn to know the people you are training with. 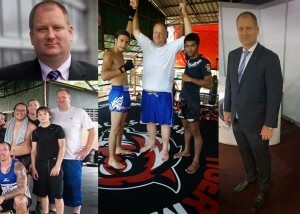 AT THE END OF HIS STAY THERE WERE THREE THINGS HE COULDN’T GET ENOUGH OF….ROWING, SWIMMING AND MUAY THAI. PETER WAS CLEAR ABOUT HIS GOALS, GET FIT AGAIN AND CHANGE HIS LIFESTYLE. “ Determine your goal, make a plan and go for it. Focus on regaining fitness and don’t focus on what the scales tell you, don’t worry too much about the numbers. “Because of my experience at Tiger, I now get up earlier and have made eating well and sport a priority in my life. I made a big change in my life and I’m not willing to let it slip again.